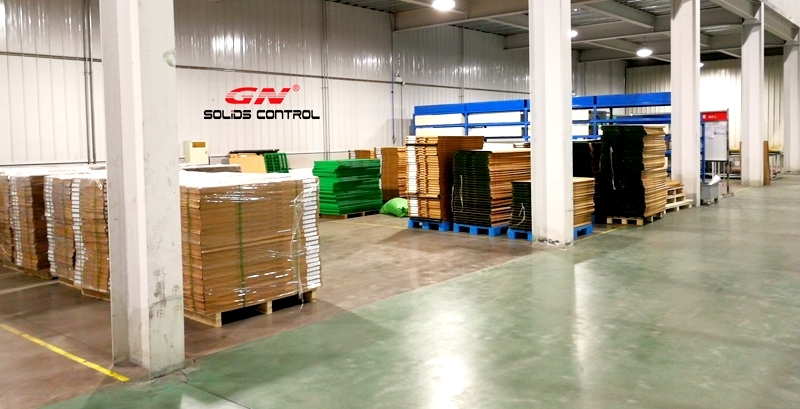 GN solids control second new factory is located in the suburbs of Beijing, very close to Beijing International airport and only 2km from the headquarter of GN solids control, which is used since 2013. The new factory is mainly used to produce decanter centrifuge, big bowl big volume industry centrifuge, vertical cuttings dryer, shaker screens, electric control panel, etc. 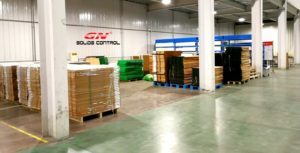 We introduced advanced shaker screen production lines to produce the replacement shaker screens for various models shale shakers, and also OEM screens for GN own shale shaker GNZS703E, GNZS594E, GNZS752. GN automatic robot welding of the screen frame to reduce the manpower, manpower has been higher in China compared with several years ago, if we can use less workers, we will save a lot in production cost, which allows us to offer competitive price to our clients. And the robot welding lead the welding quality steadily, so the shaker screen frame quality is with better quality and consistency compared with man made welding. The 4 sides pre-tension of wire mesh during the heat press to minimize the gap between the top screen and support screen, to extend the screen life. 700x1250mm composite material frame shaker screens for GNZS703 series shaker. The new developed shaker screens are all with composite material frame, the working life is much longer than the previous steel frame screens.